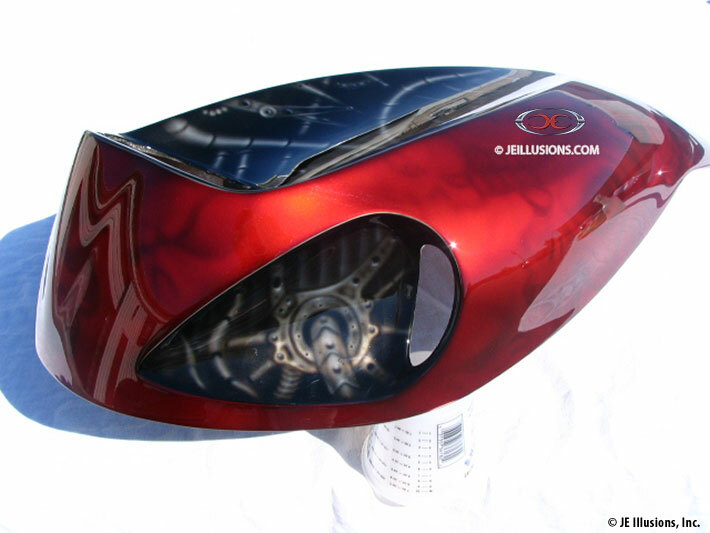 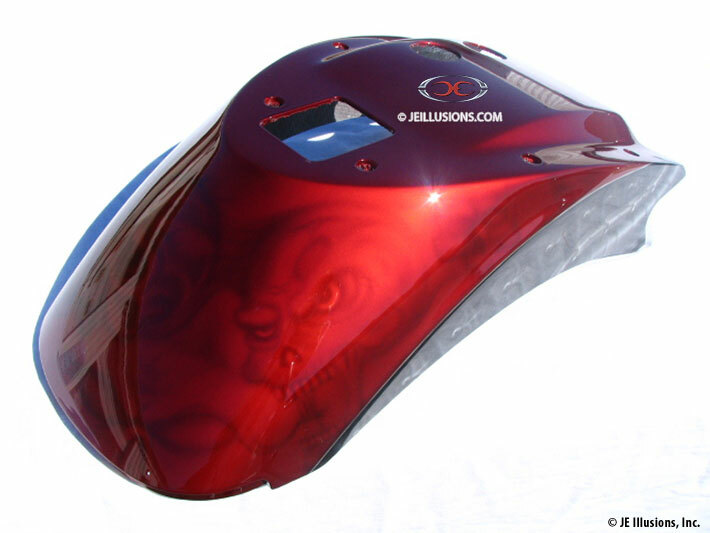 This Custom V-Rod has the components of mechanical detail work...like something out of a Terminator movie, along with hand airbrushed skull work. 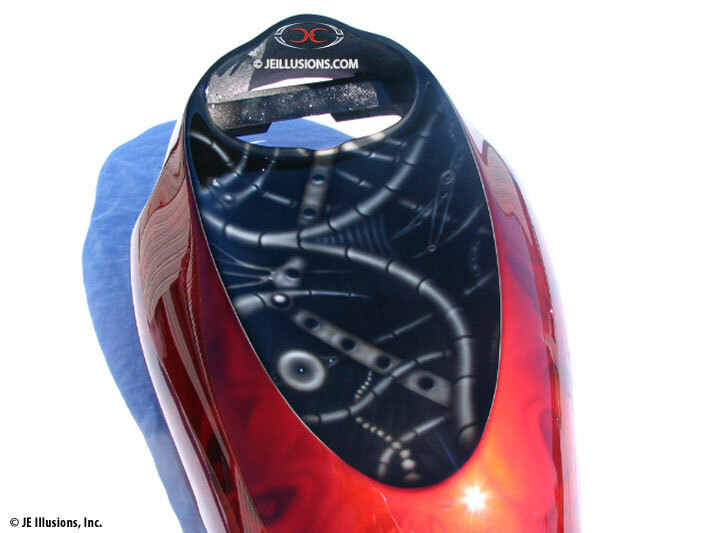 Airbrushed metal cables are throughout the design followed by many various skull illustrations interconnected to the theme. 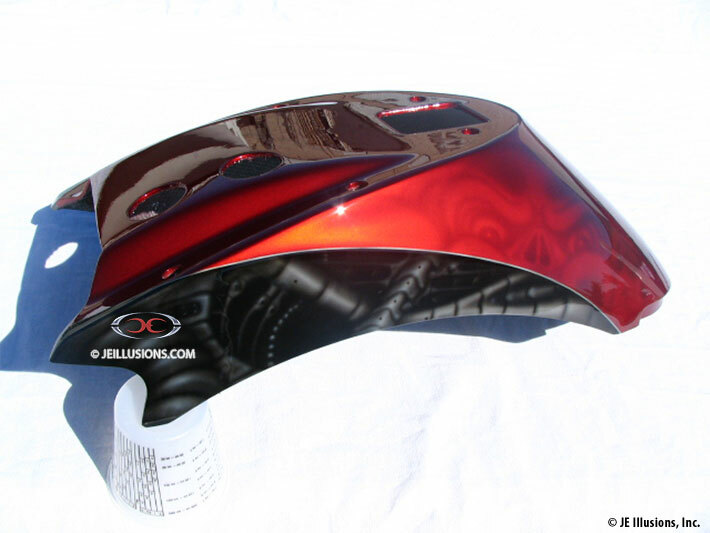 The set is two tone with jet black and red kandy.